Wapusk National Park is a 11,475 square kilometer park located on the western coast of Hudson Bay. The University of Saskatchewan has been studying polar bears within the park since 2011. Wapusk sits at the transition of boreal forest and Arctic tundra. The park contains three different, but equally dynamic ecosystems: forest, tundra and ocean. Wapusk is one of the largest polar bear denning areas in the world, with a population of over 1000 polar bears venturing in and out of the park. 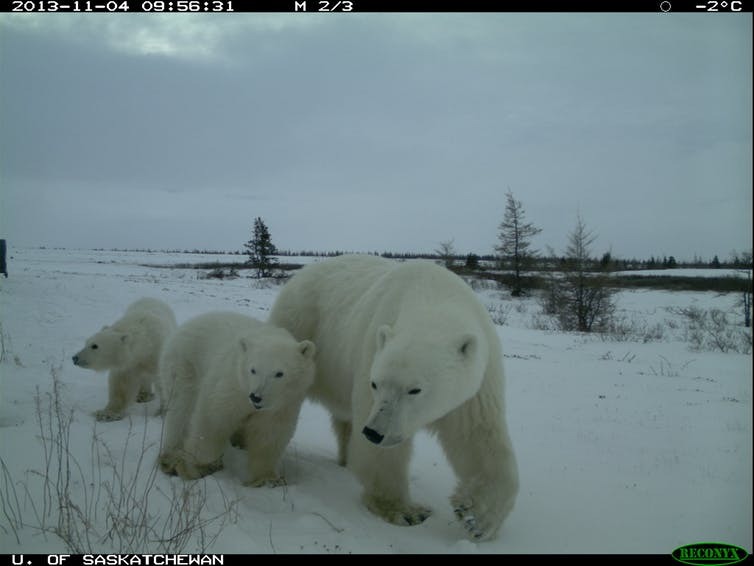 During a five year period, remote cameras were able to document the visits of 366 polar bears within the park. 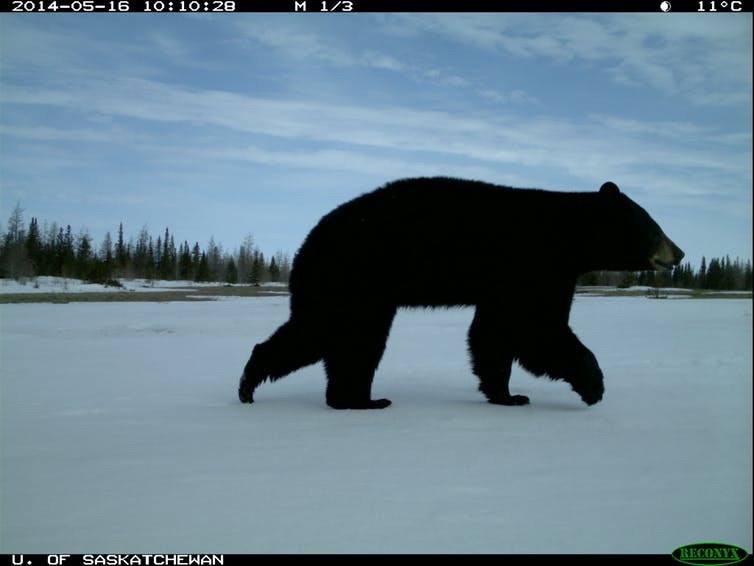 Since the southern portion of the park contains the northern edge of a boreal forest, it was no surprise to find images of black bears on the remote cameras. Researchers were surprised to find that the number of black bear visits were almost as high as the polar bears. For the first time, researchers were able to capture visits from all three of North America’s bear species within the park. It wasn’t just a few grizzly bears that had moved into the area, but many, and at least one is believed to be denning within the park. Barren ground grizzly bears have been expanding their range in the Arctic in recent years. The question now for park managers is what, if anything, should they do about it. Prevailing thought claims that the grizzly is a threat to polar bears. Is that based on research, or opinion? Have the two bear populations benefitted each other in the past, or clashed? 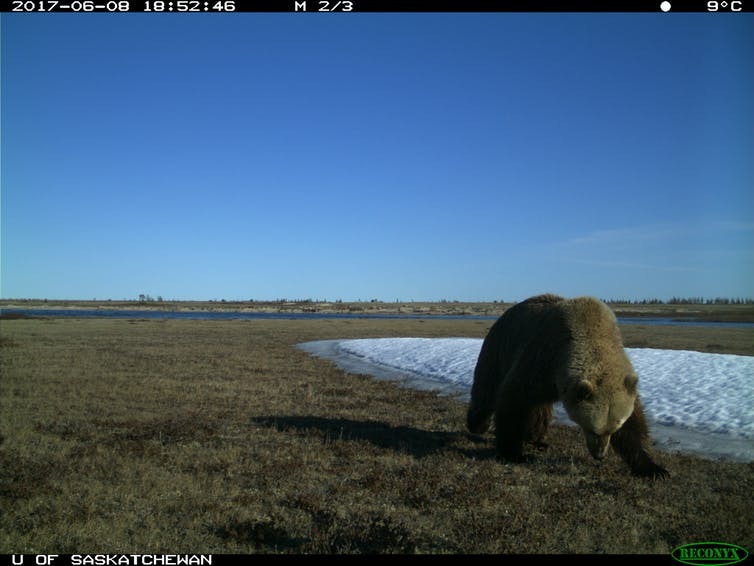 With the continued decrease of sea ice, and the grizzly roaming into new territory for food and habitat, this interaction of the two species will only increase. It’s an interesting study by the University of Saskatchewan, and they ask some intriguing questions.